Here is another step towards 7-a-day. (See earlier posts by clicking on “EMFV” in the TAG CLOUD). According to six recent studies from the American Society of Nutrition in San Diego – there is a snack with wonder properties. So many in fact that you wonder why they have not been discovered before —- unless of course you are spaced out in California. 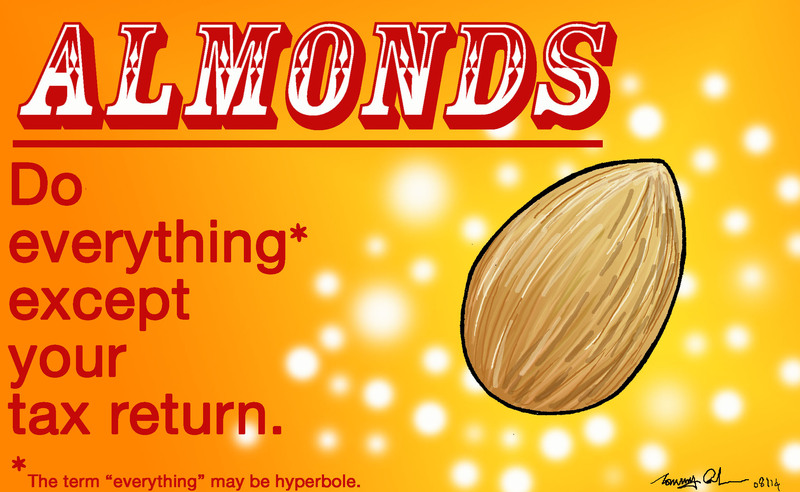 A wonder cure in a handful of nuts! What’s not to like? There again San Diego is in California and they are a bit prone to wonder. As for the tax return? I have no ideas but my mind does wonder, and I make up some believable story for the tax man? But then government is also wise and tends to nip one ‘s crown jewels while one is having a nap? so I cannot win outright: However small victories hard one are something I may get to enjoy?